NT MADA Review 2019: Is NT MADA a Good Hosting? Founded in 2009, NT MADA is a leading domain registrar and web hosting company in Madagascar. Its key offerings and solutions include shared hosting plans, dedicated servers, and premium SSL certificates. NT MADA aims to provide individuals and businesses in Madagascar with stable, secure, and low-cost hosting solutions. It also offers premium SSL, dedicated servers, and professional emails. The company’s website is in French. Every hosting account is connected to 100% SSD storage, which is 20 times faster than standard hard drives, meaning your website will load faster and handle traffic better. Free CDN is available, courtesy of CloudFlare. When you combine these two, you will get a website that’s not just blazing fast, but secure and accessible from any part of the world. NT MADA offers users a chance to create websites using tools they’re familiar with and under the user- friendly cPanel. Beginners and amateurs have access to the one-click app installer with over 125 scripts ,while seasoned web developers can build websites using Python or PHP/MySQL. In addition, users can create emails, databases, and directories, and secure all websites using SSL. I know what it feels like to work for three hours straight on a website and then to lose everything in an instant. NT MADA foresees such situations and through its daily website backups, prevents them. All of your databases and files are automatically backed up for two days, and you can roll back any changes you’ve made using the restore function. Website and user security are two areas that NT MADA seems to handle really well, considering it’s in a region that’s not very technologically advanced. The company leverages robust infrastructure with proactive 24/7 monitoring and resource isolation via CageFS. Servers are protected against DDoS attacks and hardware firewall optimized. With the prices in Malagasy Ariary, NT MADA packages may seem expensive, but after breaking them down, I realized just how cheap the annual packages are. You’ll unlock more features when you scale up from the Custom plan to the Premium, and for a small fee, you can also get premium SSLs, hosted emails, and dedicated resources for your business. I believe all major cards are accepted, in addition to local bank transfers. Sadly, order buttons are not working and this is a problem that cuts across the site. I tried ordering shared hosting and dedicated servers only to be directed to a 404 error page. NT Mada needs to fix this problem, else customers won’t bother going past the pricing page. Technical support is available 24/7, but in French only. You can open a ticket or contact a live operator via telephone or live chat from 8:00 a.m. – 6:00 p.m., Monday to Friday. For some reason, I couldn’t initiate a live chat. It may have had something to do with my browser or location, but from the reviews I have seen, the support team looks like a friendly and helpful lot. 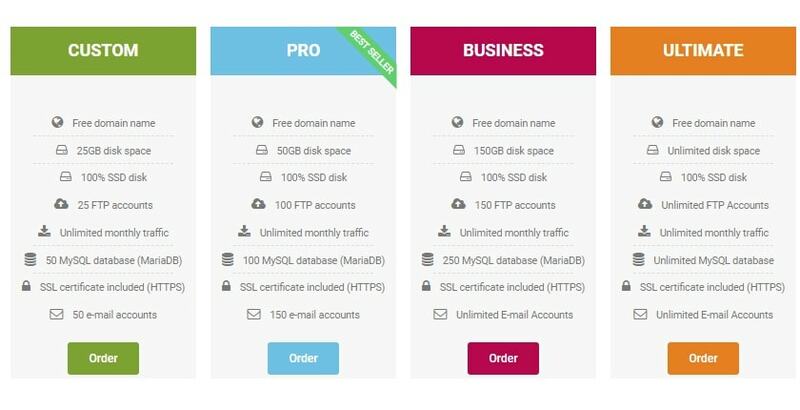 NT MADA is a fast-growing hosting company with a robust hosting infrastructure and a number of feature-rich hosting plans that customers can order for a fraction of the market prices. 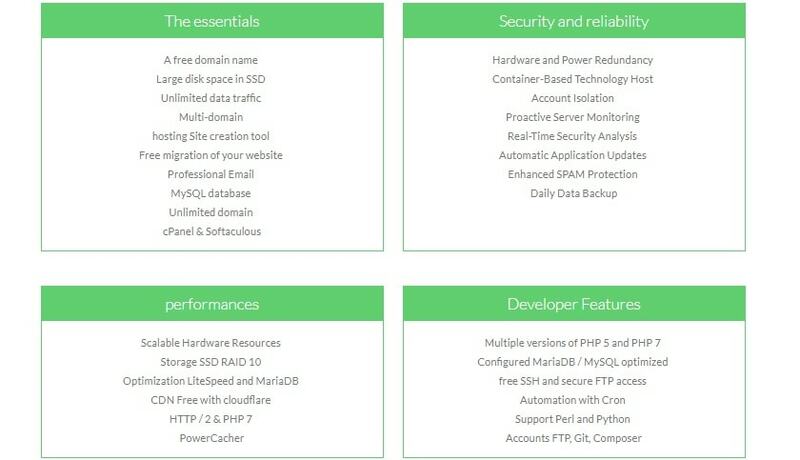 Wondering how NT MADA stacks up against other Web Hosting companies? Enter any other Web Hosting company and we will give you a side-by-side comparison.